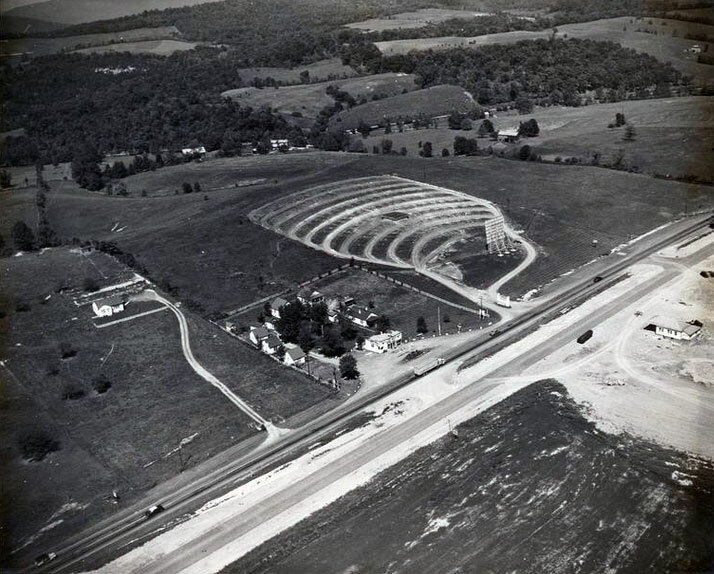 Hull’s Drive-In Theatre has been a part of the Rockbridge area community for more than 50 years. The theatre was built by W.C. Atkins in 1950, and operated as the Lee Drive-In on land leased from the Hostetter family. Sebert W. Hull purchased the business and lease in 1957. For decades Mr. and Mrs. Hull operated the drive-in as a family-friendly business supported by a diverse and loyal following. When Mr. Hull passed away before the 1998 season, Mrs. Hull sold the business to W.D. Goad whose auto body shop is adjacent to the drive-in on Route 11 North of Lexington. Thousands of movie fans were thrilled when Mr. Goad kept the drive-in going that summer, much the way Mr. Hull had all the years before. The following season, 1999, the high cost of needed technical improvements and upgrades required by the movie industry discouraged Mr. Goad from opening the theatre. That summer, the big screen remained dark as Mr. Goad searched for a buyer who could not only fund the necessary upgrades but also run the business in the affordable, family-friendly way of Mr. Hull. The closing of Hull’s Drive-In was a great disappointment to many moviegoers, including area couple, Eric and Elise Sheffield. In June of 1999, two months after the drive-in failed to open; they convened a public meeting of more than fifty concerned fans. Coming from all walks of life, this group found common ground in their fondness for Mr. Hull, and their love of his outdoor theatre. They quickly resolved to form a non-profit group called Hull’s Angels, dedicated to finding a way to re-open the drive-in. During the summer of 1999, the group focused on building its membership and exploring its options. Volunteers spent many hours operating booths and tables at various community events. Within three months, Hull’s Angels had grown to a five hundred-member organization and had raised $10,000 in start-up funds from popcorn and T-shirt sales, membership dues of $5 per person, and a two-night movie benefit at the drive-in. The benefit show also kept alive the theatre’s run of more than four decades of continual operation. In early fall, the Hull’s Angels board, having researched various options throughout the summer, unanimously agreed that the organization itself should try to buy Hull’s Drive-In. In order to enter into negotiations, Hull’s Angels took steps to legally incorporate as a non-profit corporation. The Angels adopted by-laws, which vested ultimate decision-making power in the membership, as carried out by their representatives, an elected board of directors. The by-laws defined membership as everybody who pays annual dues to Hull’s Angels. 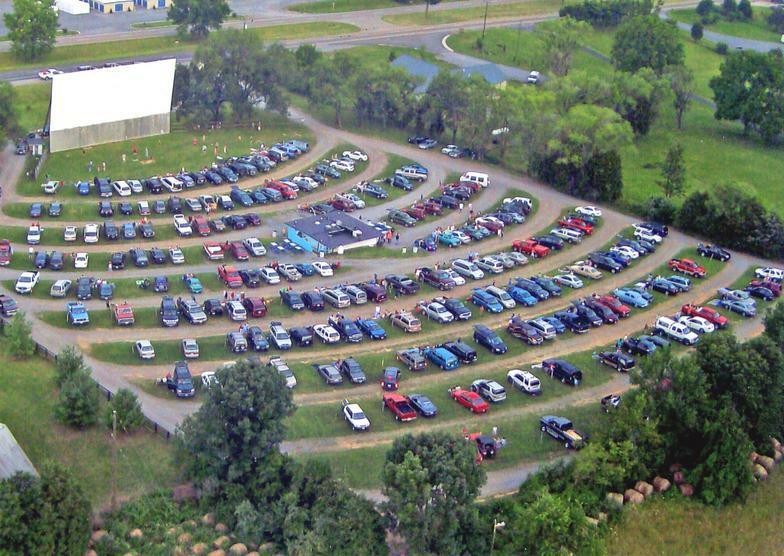 In April of 2000, after several weeks of negotiations, Mr. Goad and Hull’s Angels reached agreement on a two-year lease/purchase agreement for the drive-in business. The parties signed their legal agreement on April 19, 2000. The theatre was reopened in July with new projection and sound equipment, and run by a mix of volunteers and paid staff. In December of 2000 word was received from the IRS that Hull’s Angels had been approved as a 501(c)(3), tax-exempt organization (probably the first drive-in in the nation to receive the status). This greatly aided the Angles in their efforts to raise $75,000 in order to purchase the drive-in and make urgently needed technical upgrades. In May of 2001, Hull’s Angels exercised its option and purchased the business and land lease from Mr. Goad.